The One Direction heartthrob was left puzzled when he discovered he had been left off the guest list for the supermodel's 21st celebrations in Ibiza next month. 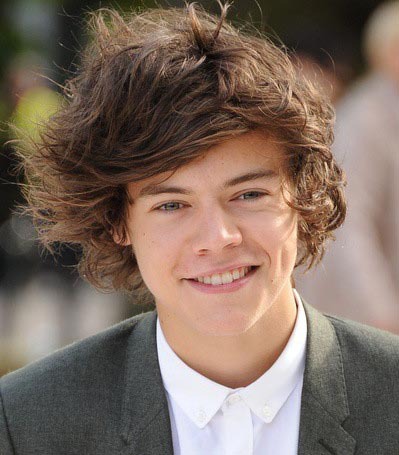 Harry, 19, is said to have then texted the blonde beauty - who he befriended last year - to try and get an invite. An insider told Daily Star: "Harry kept hearing about Cara's party through their mutual pals. He started to wonder what he'd done wrong. So he texted asking Cara why he wasn't invited because he thought they were still friends. He then cheekily added: 'Can I come?' "
Now he has secured his way in to the event, Harry - who is currently touring in the US - is planning to take a private jet to the Spanish party island. The insider continued: "Cara told him she'd only left him out because she thought he'd be too busy on his tour to come anyway. But Harry assured her he can get a private jet to the rave on the 24th, two days after her birthday." The 'Kiss You' singer, is also out to upstage the model's growing tattoo collection, after she had 'Made in England' inked on her left foot. Harry - whose tattoos include a butterfly on his chest and a pair of birds on his shoulders - has hinted he will unveil his "biggest tattoo yet" at the party. The insider added: "Harry jokingly told Cara he will unveil a new tattoo that puts her new Made In England stamp to shame. He hinted it may have something to do with James Bond and said it will be his biggest yet."